According to online information Burna Boy and his manager, Joe Kantiock’s names were apparently removed from the court paper. The robbery case brought against Burna Boy, his manager and 3 other accused by the Lagos state commissioner of police was held today at Court Room 1, magistrate court ikeja. Burna Boy was absent in court as well and the case has been adjourned till Friday, December 8, 2017 to determine if the suspects in custody will be granted bail or remanded in prison according to LIB. 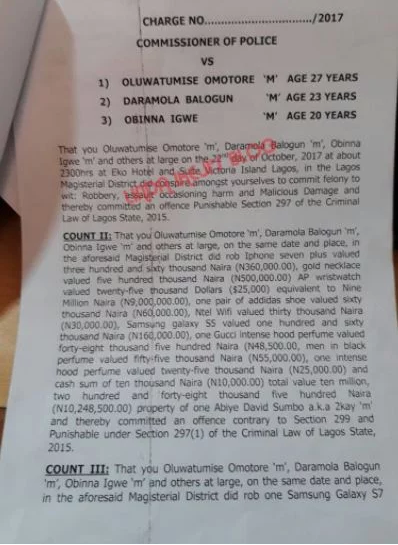 The court sheet that reveal the 5-count charge against the suspects but from the court documents Burna Boy and his manager, Joe Kantiock’s names have been removed was obtained by LIB. 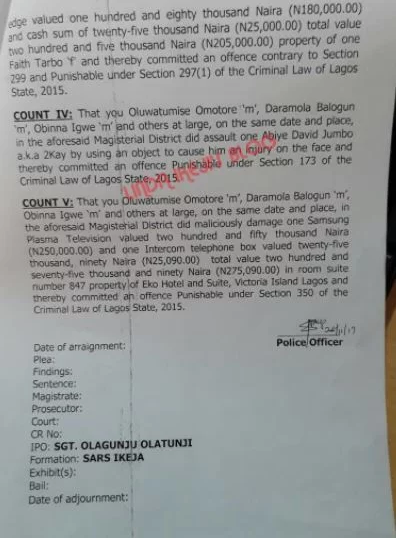 Since Burna Boy has refuse to grant police invitation and showed up in court may be the main reason while his name was missing on the court sheet but his manager Joel Kantiock is still in police custody. The Lagos state police commissioner, CP. 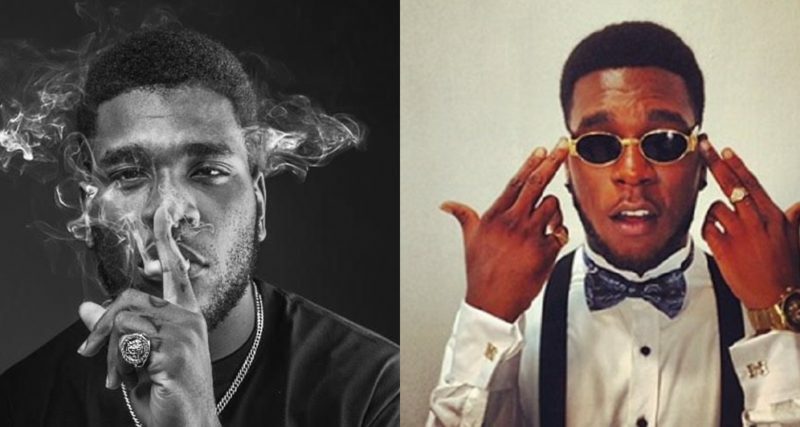 Imohimi Edgal On November 20th, announced that Burna Boy was wanted while addressing members of the press saying the singer through his road manager contracted the armed robber to attack Mr 2kay in order to teach him a lesson.